The board game Mouse Trap has a lot to answer for. For the climax of the game to work perfectly, it required careful manipulation of a man on a diving board, tightening of elastic bands, careful positioning of a metal ball (usually lost under a sofa within the first week after Christmas) and surgeon-like dexterity to balance the cage. The payoff to all this handiwork was extremely satisfying in those pre-video game days but once you’d seen the trap in action, it was never quite as exciting again. 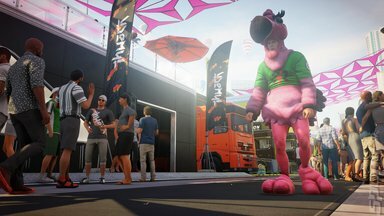 Hitman 2 takes the simple premise of the set-up/payoff to the zenith. While it’s possible to eliminate most of the targets assigned to our shady protagonist with a quick shot from a long range weapon or a tidy neck-snap as they pass you in a corridor, the beauty of the title comes from exploration and abundant creativity. Changing outfits to gain access to our targets, finding obscure inventory items and then figuring out exactly how they might help or setting up elaborate set-piece acts of destruction are all options which are not only available, they are actively encouraged. As with the previous instalment of this long running franchise, the maps are the stars of the show. Long gone are the small, limited spaces that plagued earlier entries, now we are treated to huge, complex and visually stunning locations full of simulated life. 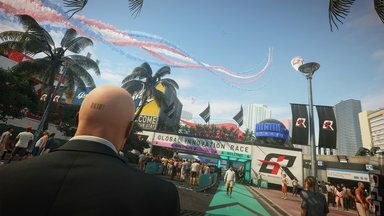 Hitman has never looked so gorgeous. Crowds are particularly impressive with little to no slowdown even in hugely populated areas. Lighting and nature effects also seem improved upon. Something I came to appreciate more due to our hero’s shiny head. 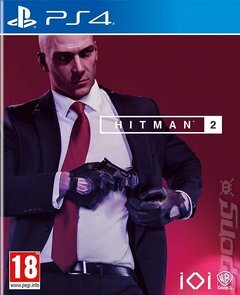 The episodic release schedule of IO Interactive’s previous title never really appealed to me that much – it was an interesting experiment but it always felt like I was purchasing an incomplete game. By 2017 the game was released with all of the episodic content in one place, which is when I finally picked it up and was instantly overwhelmed by the sheer scale of the product. It’s still a game that I like to jump back into and, twelve months later, I still don’t feel like I’ve even scratched the surface. I was very pleased to see the return of Elusive Targets – an option which felt at home in the episodic release pattern of the previous title. Here you are tasked with eliminating specific contracts but only have a limited amount of real-life days to take the contacts before these sneaky individuals disappear off the radar. Actor Sean Bean voices the first of these shady dudes and for anyone who has seen Pixels or that dodgy Silent Hill movie, you’ll be as eager as I was to get him in your sights. Though graphics and interface options are improved upon from the previous title, there’s no getting around the fact that this does feel more like an expansion pack rather than a sequel. Sure, there are a couple of new modes to play with here and the inclusion of a multiplayer version is a fun distraction but it doesn’t feel like a natural fit for a franchise built around the exploits of a stealthy, solo protagonist. Criticisms that this is ‘more of the same’ are fairly hollow. 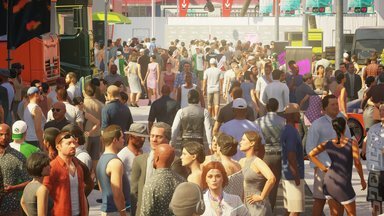 Hitman was a superb bundle, which offered an abundance of content. Here in the sequel we get a massive dollop of additional, beautifully presented playgrounds, a steadier framerate and a slicker interface. Additionally, for those late to the party, the option to purchase the previous title for a knockdown price is also available to players. Buying this will ‘upscale’ those original maps to include options only available in part 2 such as long grass to hide in and a variety of new weapons to try out. This new title adds to my pleasure and my woes. Five more huge maps, timed missions, a slew of new deadly items to play with and, incredibly, a storyline that is relatively compelling represents a gargantuan time-sink. Cancel appointments, forget attending the Christmas party and prepare to indulge in the best version of the franchise to date. And it’s far better than Mouse Trap.